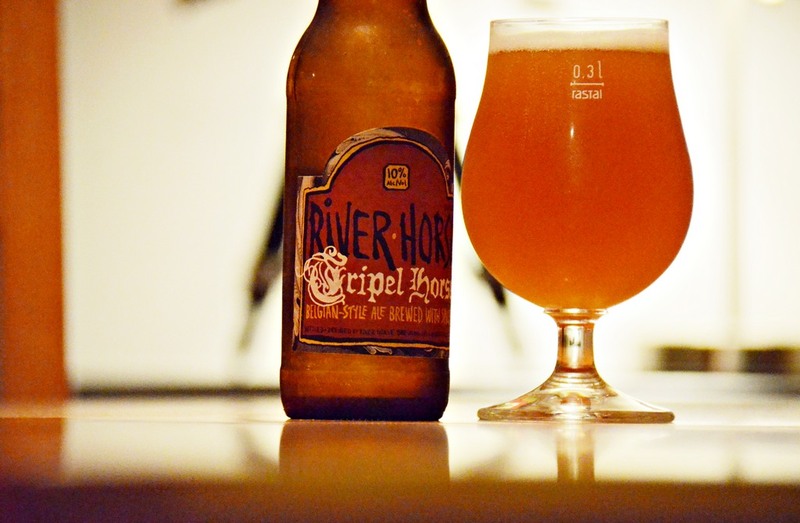 Today’s fine craft brew comes from River Horse Brewing Company in Lambertville, New Jersey. The aptly named “Tripel Horse” is a Belgian-style Tripel, which is a strong pale ale. Poured into a 0.3L Rastal (stemmed glass), Tripel Horse has a somewhat cloudy appearance and a deep penny-like copper hue. Depending on how you pour it, the head ranges from minimal to medium depth. And although it dissipates fairly quickly, a small amount of foam generally sticks around until the end. The aroma is fruity with vanilla overtones. The taste is quite complex with flowery hints and a labyrinth of spicy accents that build as you savor. Hops are kept quite restrained and the texture is smooth, almost silky, which is impressive given carbonation is definitely not absent in this brew. The finish is dry with remarkably little residual aftertaste moments later, and a desirable warmth from the 10% ABV. But be prepared for sticker shock as this beer is over $2.50 per bottle at $16 for a six-pack. Including “Golden Monkey” from my local brewery (Victory Brewing Company), Belgian-style Tripels are quickly becoming my preference when I want a strong craft brew. Victory’s Golden Monkey is still my favorite, but Tripel Horse right now is a very close runner-up. A review of “Golden Monkey” will soon follow.